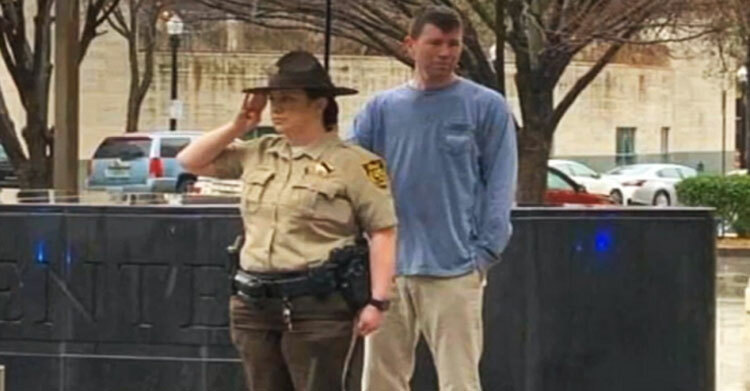 Man Spots Deputy Saluting Fallen Officer In Rain & Approaches With Touching Gesture. Sometimes it only takes a small gesture to show others they’re loved and cared for. 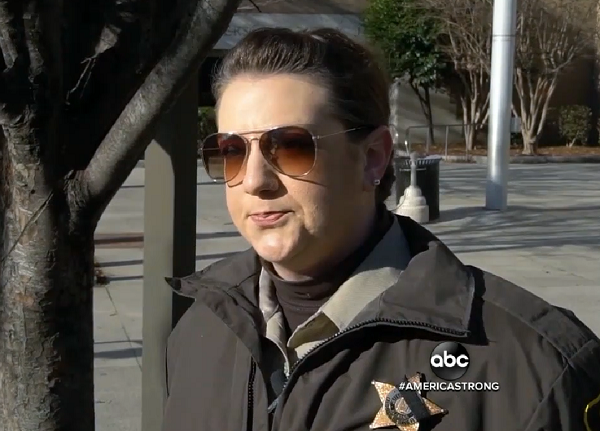 Jefferson County Sheriff’s Deputy Tiffany Dial was at the memorial for her coworker, Sgt. Wytasha Carter, when she experienced one of these small but meaningful gestures. Sgt. 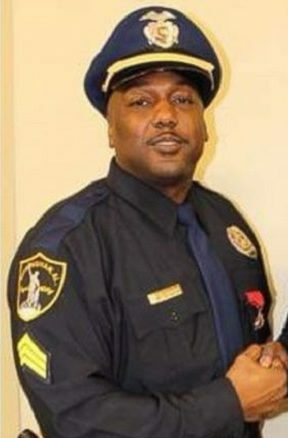 Carter, a father of four, had been killed in the line of duty, and the Birmingham, Alabama community is still mourning his loss. As Deputy Dial saluted the procession in the driving rain, her thoughts were focused solely on the collective pain their community was experiencing over this senseless loss of life. She was so wrapped up in honoring Sgt. 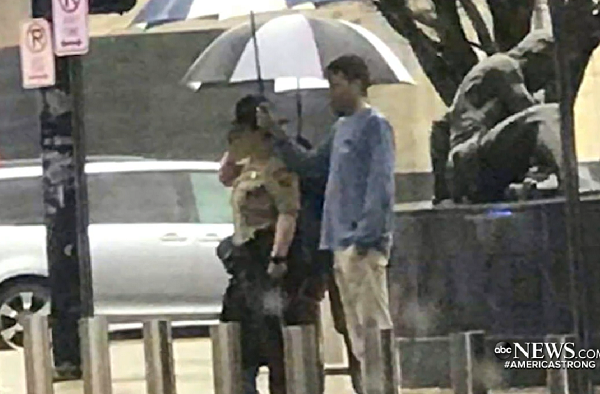 Carter, she didn’t even notice when a stranger approached her from behind and held his umbrella over her head. 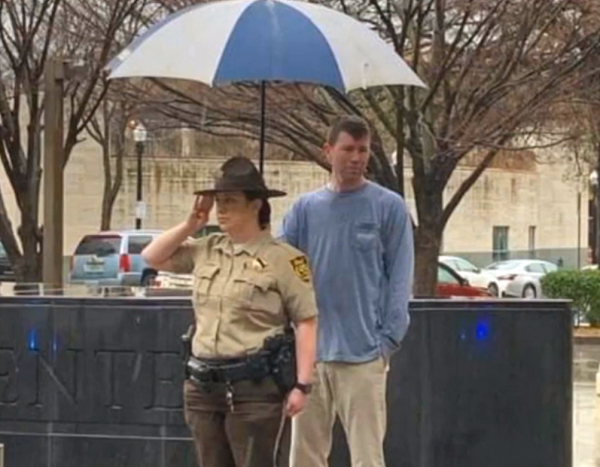 The man stood for 30 minutes shielding Deputy Dial from the rain. At the end of the procession, the man left without saying a word. “I didn’t know he was there. My peripheral vision was cut off with my hat, so I didn’t know anything was there. I was in my moment,” said Deputy Dial. Others agreed, and soon the search was on for the unidentified civilian who’d sheltered the deputy so selflessly that day. Within hours of the local ABC affiliate’s post on Facebook asking for help identifying the man, he came forward. As it turns out, Shawn Allen works in the same building as Deputy Dial, although they had never crossed paths. 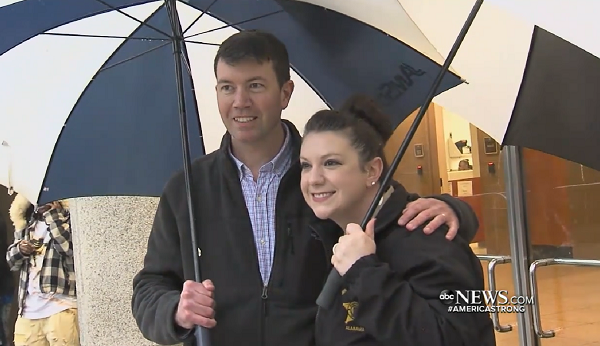 Yet for Deputy Dial, the gesture meant much more than just “a nice thing to do.” For her, the fact that an unknown civilian cared enough to help her without her even knowing he was there restored her faith in humanity just a bit. Once the deputy and Shawn had been reunited, thanks to the internet, they finally had a chance to meet face-to-face. Naturally their meeting started with a big, warm hug. Shawn admitted that he was overwhelmed by powerful emotions as he witnessed the procession. “The procession was just about one of the most powerful kind of emotional displays that I hope I never see again, and I was just really impressed that you were out there paying your respects to Sgt. Carter,” he said. As for why he didn’t speak up to let Deputy Dial know he was there, Shawn said he simply didn’t feel the need to make the moment about himself. “People do care about us, and that’s very uplifting. 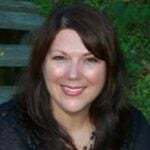 It can be very easy to get jaded in this job, so it’s nice to see the good in people and to be reminded of that too,” said Deputy Dial. That is a wonderful reminder for us all. Remember that for every negative person you encounter there are a hundred more kind people who would go out of their way to help if they can. Don’t let a bad apple spoil the bunch — there is so much goodness in the world. Please share this story to encourage doing more “nice things” for others!